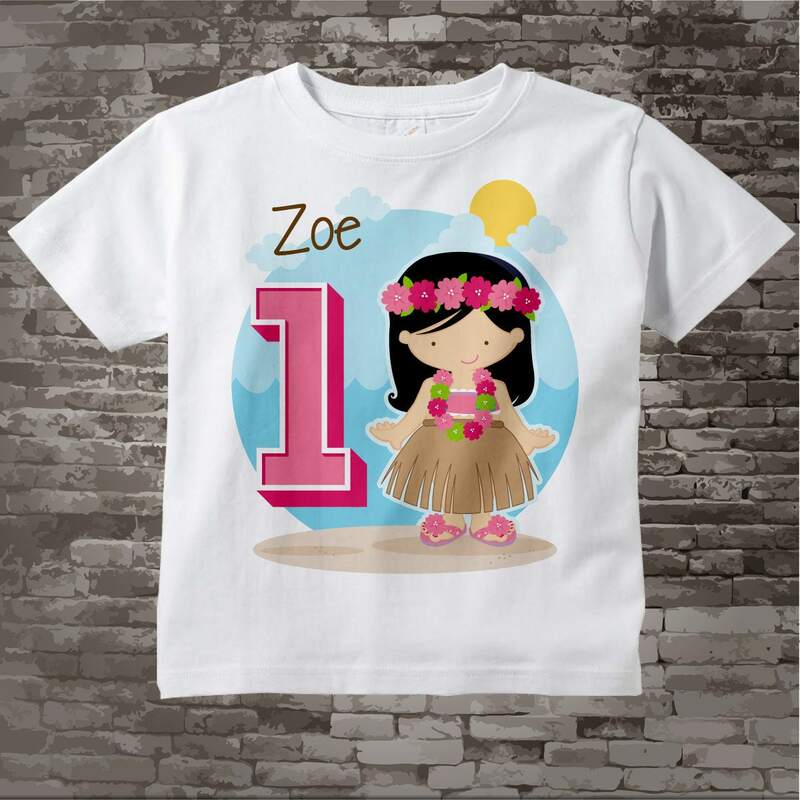 Girls Hawaiian Luau theme number Birthday Shirt or Onesie Bodysuit. 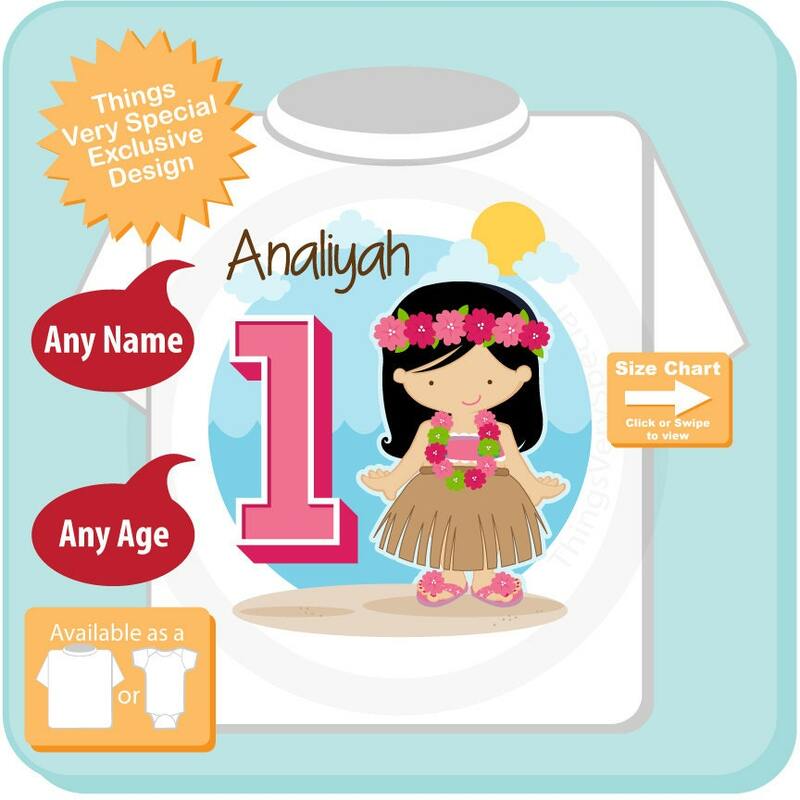 This Tee Shirt or Infant Onesie, can be personalized with any name or with any nickname along with the Hula girl and big pink number. Beautiful and fast shipping! Can't wait to see it on my baby!